Read the account of the journey of faith of this pioneer of the Messianic movement in Israel! Moshe ben Meir was born as an ultra-Orthodox Jew in the Old City of Jerusalem in the time of the Ottoman Empire, and he came to faith in Yeshua as a young man. This remarkable and inspiring book tells his story in his own words. It recounts his journey to faith in Yeshua and his life and ministry in Israel. Moshe remained committed to traditional Jewish halakhah while following the Messiah with all his heart. 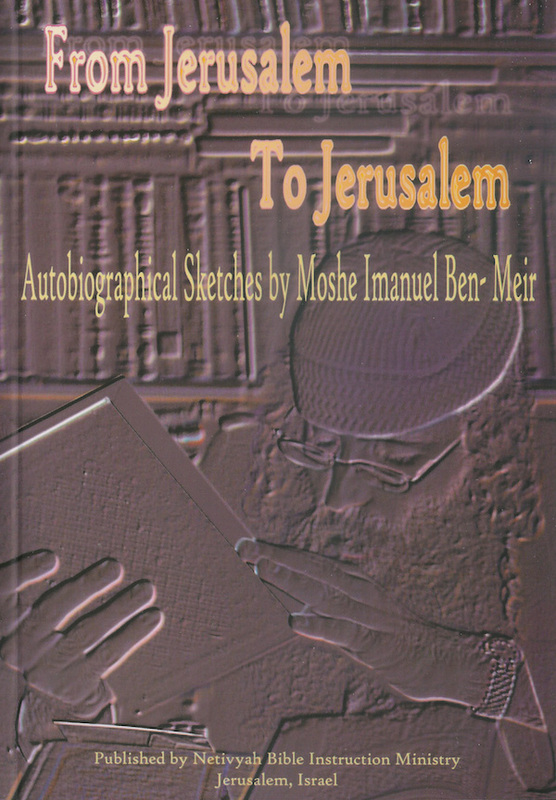 Moshe ben Meir was born and grew up in the Old City of Jerusalem in an Orthodox Jewish family during the time of the Ottoman Empire, was sent to an orphanage in World War I, and spent time as a teenager with the British army in the Middle East. After finding a New Testament on the street as a young man, he began to believe in Yeshua. For the rest of his life, he sought out fellowship with other Jewish believers in Israel but also maintained his Orthodox Jewish lifestyle. From Jerusalem to Jerusalem is his autobiography of his life but also a manifesto of sorts of his guiding principles and beliefs about the Messianic movement, the state of Israel, and the believer’s relationship with Yeshua. As a pioneer in the Messianic movement in Israel, he had many interesting experiences and helped found Netivyah. This remarkable and interesting book tells his story in his own words. During his journey of life and faith, Moshe ben Meir remained committed to traditional Jewish halacha while also following the Messiah of Israel with all his heart.